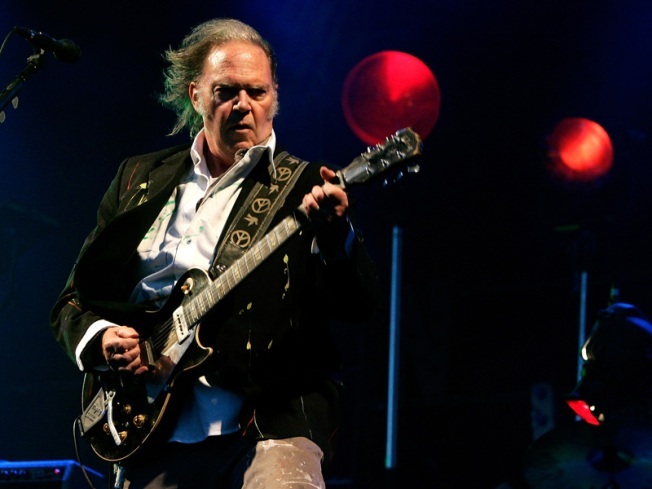 Headliner Neil Young performs live on stage during The Hop Farm Festival at The Hop Farm on July 6, 2008 in Paddock Wood, Kent, England. The one day festival boasts a back to basics festival experience, with the event being totally unbranded, no sponsorship and no VIP areas. Quick Tuesday quiz: what do these artists have in common? "The Music of Neil Young" is slated for February 10 at the venerable theater; over 20 artists are promised to perform, per the event website. All proceeds benefit youth arts programs, including Fixing Instruments for Kids in Schools, Church Street School for Music & Art, and the American Symphony Orchestra. No word yet on whether Young himself will attend. Hopefully he’ll take his deserved bow in the ornate space: after all, everyone knows Carnegie Hall is somewhere.